Volunteer Alicia Bartlett demonstrating how to sample for macroinvertebrates. You may be familiar with the phrase “STEM” education, which refers to learning in science, technology, engineering, and math. At Trout Unlimited, we believe in “STREAM” education, which includes “Arts” and “Recreation” too! That’s why on April 29, to celebrate Michigan’s Trout Opener Weekend, Trout Unlimited kicked off its new “STREAM” Girls program, an exciting watershed-based program for young women to explore their local streams. Trout Unlimited’s Rogue River Home Rivers Initiative partnered with the Girl Scouts of Michigan Shore to Shore to deliver the program to 36 Girl Scout Juniors and Cadettes from all over the state of Michigan. 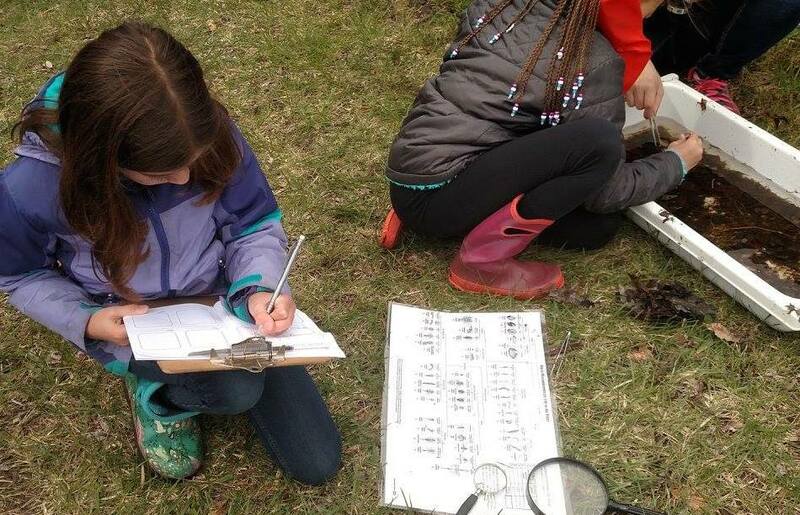 Girl Scouts identifying and sketching macroinvertebrates. During the STREAM Girls program, the girl scouts participated in a stream walk where they surveyed Bear Creek and made observations about various elements of the ecosystem, taking different approaches as a scientist, artist, and angler. They studied macroinvertebrates, discovering how the bugs can indicate stream health and provide food for trout, then sketched their favorite stream insects. The girl scouts explored their creative side by learning how to tie a fishing fly, and created unique and colorful wooly buggers. Finally, the scouts worked with expert instructors from the Fly Girls of Michigan for demos on fly fishing techniques, then got to practice casting their own fly rod thanks to a grant from the Michigan Department of Natural Resources Fisheries Division mini-grant program. 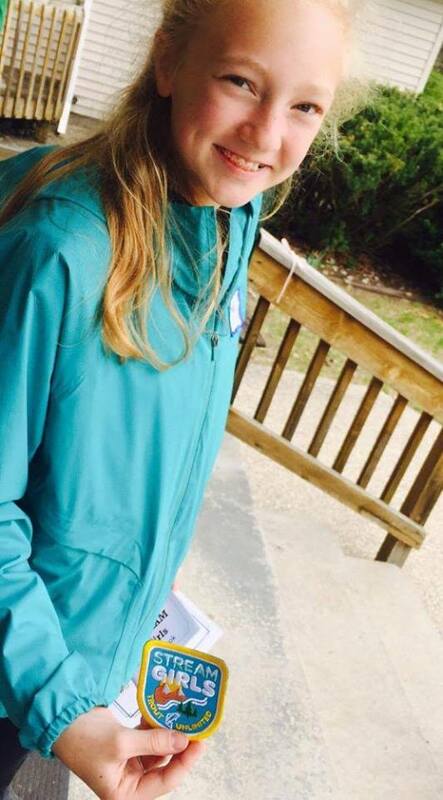 A scout showing off her new Stream Girls patch. Through STREAM Girls, Trout Unlimited aims to promote experiential science learning connected to lessons in leadership, arts, health, and recreation, fostering emboldened girl scouts that will become impactful stewards of clean, healthy watersheds. The Rogue River Home Rivers Initiative staff is looking forward to continuing the program and creating more Stream Girls in Michigan. What a great program. I would love to see comments from the camp leaders. What worked, what didn't, any advice to those of us trying to get this going in our states? We want to get this started in Pennsylvania. Wish us luck!.